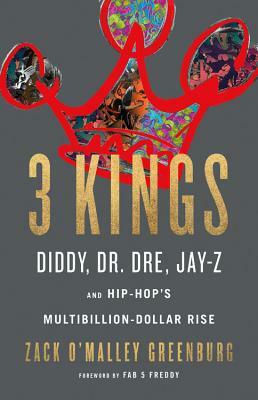 Zack O'Malley Greenburg is the senior editor of media & entertainment at Forbes and the author of two books: Empire State of Mind, a business-focused biography of Jay-Z (Penguin/Portfolio, 2011) and Michael Jackson, Inc. (Simon & Schuster/Atria, 2014), a deep dive into the King of Pop's financial realm. Zack graduated from Yale in 2007 with a degree in American Studies and immediately joined the staff at Forbes, where his annual Hip-Hop Cash Kings packages gave the genre its first sustained, serious coverage in the mainstream business press. His work has also appeared in the Washington Post, Billboard, Vibe, McSweeney's and Sports Illustrated. He lives in New York with his wife and cats.